My body instantly recovered from the cold outdoors as I stepped into a room filled with palm trees, waiters with matching orange collar t-shirts and shorts passing around tasty hors d’oeuvres, wicker love seats and Bob Marley’s “One Love” filling the background noise. Celebrating Tommy Bahama’s newest fragrance, “Island Life“, was more than just sniffing something that smelled like paradise – it WAS paradise. I was immediately (and very happily) greeted by tropical cocktails decorated with fresh fruits and flowers. Only having gone to the Caribbean once in my life, both the Mai Tai and Island Life Cooler were foreign to me. Regardless, both were sampled and happily enjoyed by the end of the night ;). 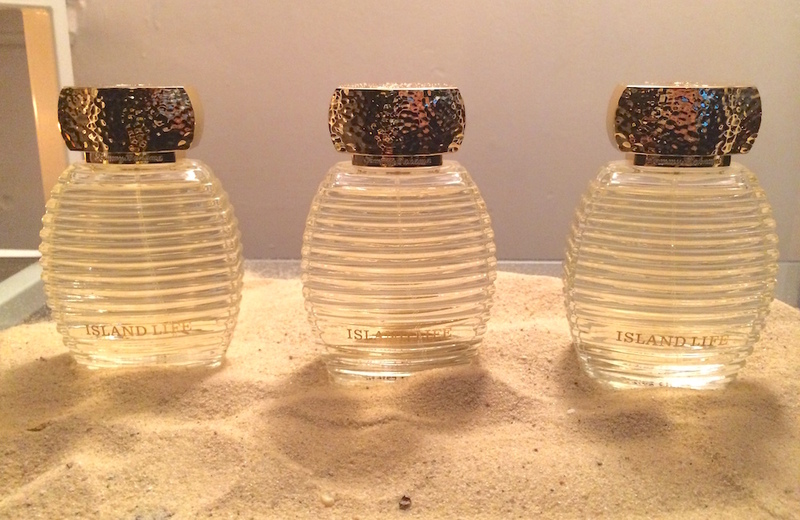 Everything about the fragrance truly defined the idea of “Island Life” inside and out. The unique bottle design was meant to mirror sun shades, while also producing a radiant spectrum of colors via reflecting prisms from the sunlight. For Island Life for Her, the gold bottle cap embodied the calm sun on the water at sunset, whereas the male counterpart featured a woven, wooden Rattan texture that was reminiscent of natural Island living. Island Life for Him boasted a mixture of soft cedar wood, nutmeg and bergamot, creating an outstanding scent that embraced masculinity at its peak. On the other hand, Island Life for Her delivered a luxurious combination of juicy pear and a fresh bouquet of white rose, peony and peach blossoms, conveying a more floral-oriental touch. 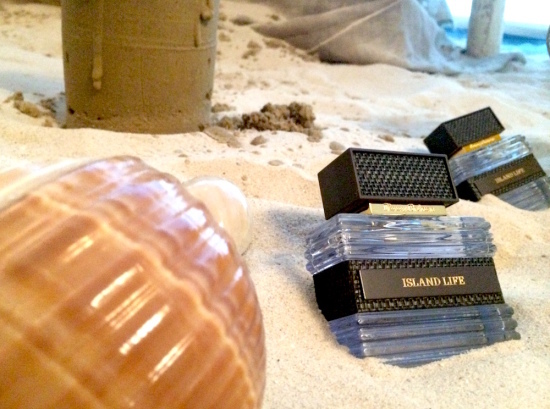 Each fragrance spoke to a sense of purity for each gender, aligning with the beauty of tropical nature. 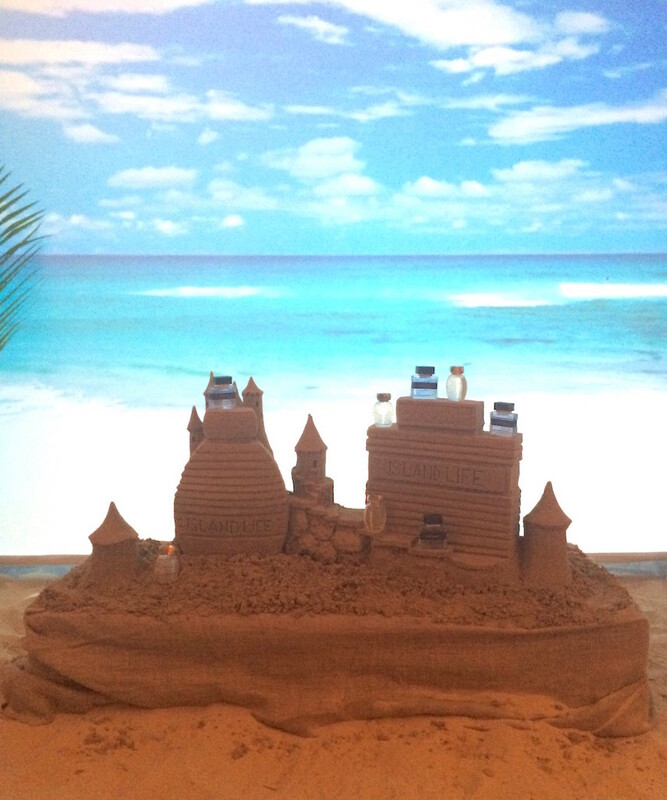 Who needs tables and shelves to showcase Tommy Bahama’s newest fragrance line when you have sandcastles – INDOORS! The moment was ever so surreal when the sand artist continued to build and add to the castle, all the while a backdrop of moving beach waves endlessly looped. Oh, and did I mention paddle board lessons given by a certified instructor? 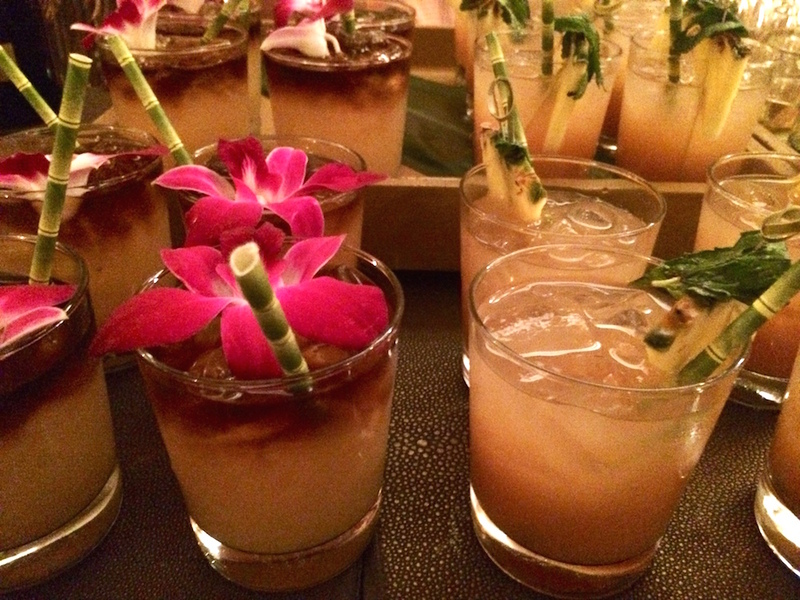 The Tommy Bahama Island Life launch was not just about introducing the new fragrance in a room full of palm trees, but it was also a real-life tropical experience – which is exactly the kind of experience you’re intended to get with the perfume anytime, anywhere. One thing’s for sure : both Island Life and the celebration successfully delivered a paradise away from home, especially on a 20-degree evening when I needed it the most. Note: This post is not sponsored. All thoughts are my own and unbiased. All photos are taken by me. The Dish With DDR: Get Dry, Winter Skin Ready for Spring!